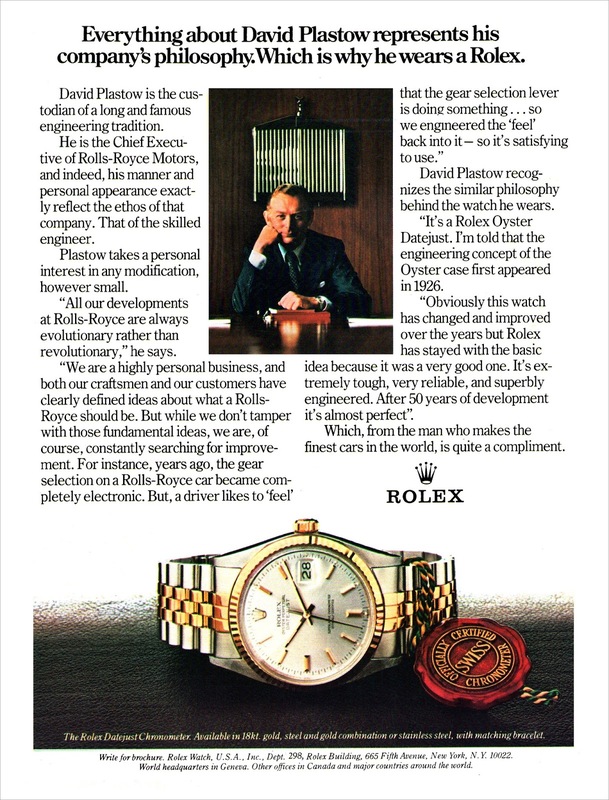 Some would say that Rolex has always been the Rolls Royce Of Watches. I always perceive Rolex as being more the Mercedes-Benz of watches, but it is fascinating to take a look back at these vintage Rolex ads. 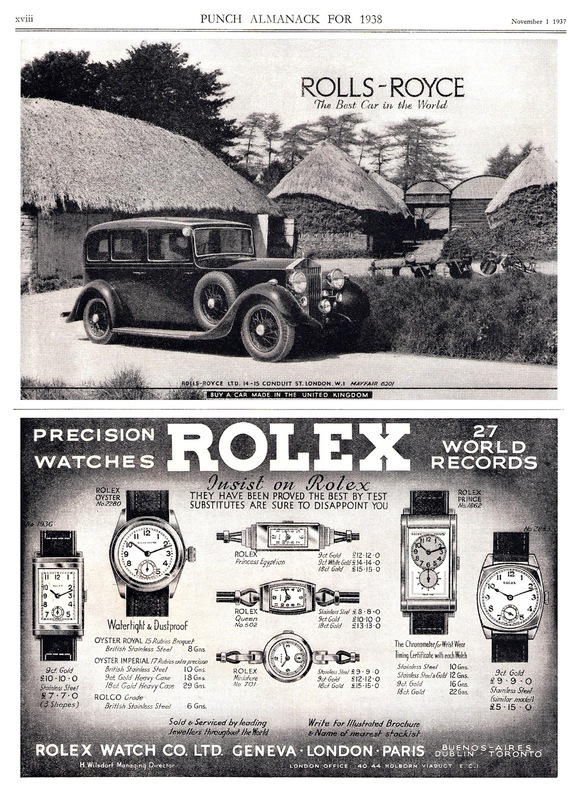 The first Rolex ad below from 1938 places Rolex on the same page with Rolls Royce, and the second vintage Rolex ad covers the CEO of Rolex, Sir David Plastow who wears a two-tone Rolex Datejust. Fascinating!